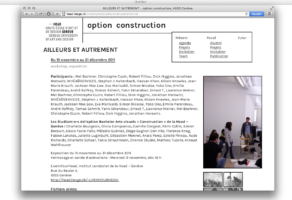 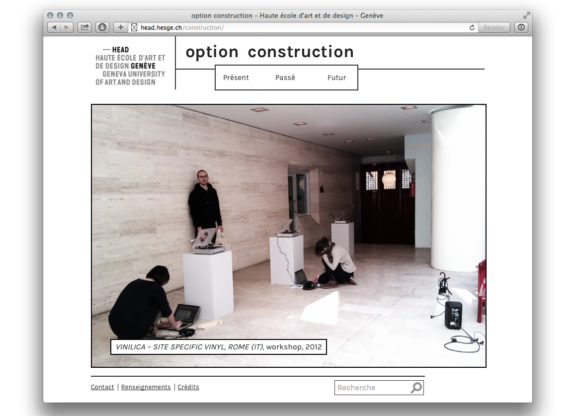 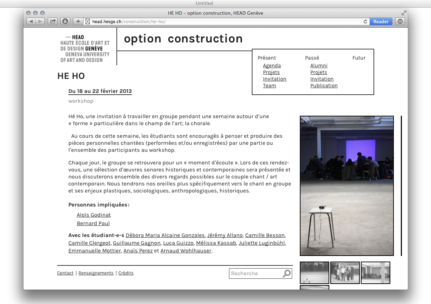 A website for Option Construction, a bachelor studies programme in visual arts at HEAD Geneva. Advanced date management with my custom MEM plugin. Uses Karmilla, an expanded version of the Karla webfont with support for French (ç and œ glyphs). 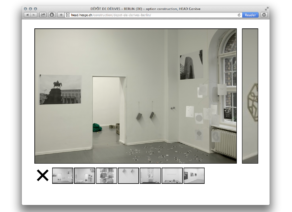 Uses the Photon API, a feature of Jetpack, to produce black-and-white image thumbnails for past events. 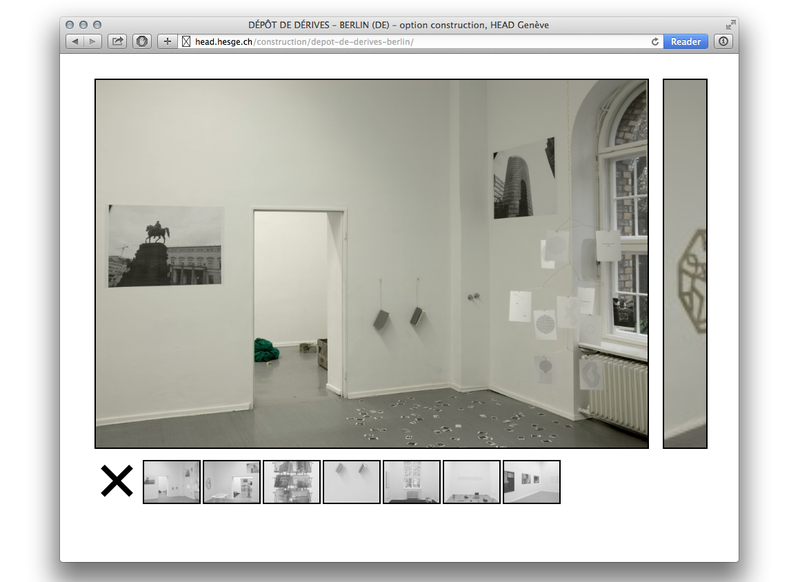 Uses a custom gallery script, usable both with keyboards and touch gestures. 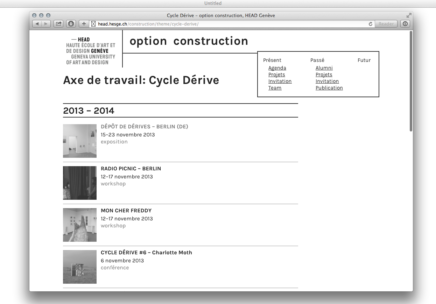 Archive pages automatically organized by academic year.